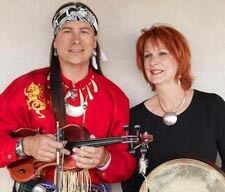 Celtic Indian Arvel Bird, an award-winning recording artist who, for several years, toured the world with Glen Campbell, Loretta Lynn and others, is also an independent artist on Singing Wolf Records label out of Nashville, TN. 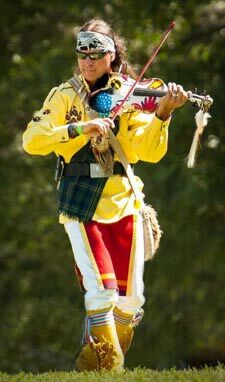 This unique and genre-blending violinist, Native American flute player, Irish whistle player, singer, songwriter, and composer has thrilled audiences with his very energetic and exciting songs and performance style. 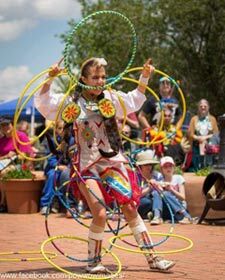 Brad Bearsheart, Nathanial Bearsheart and Ella Bearsheart bring an intriguing visual element with the pow wow drum and Native dancing to Arvel’s contemporary Native American and Celtic music. 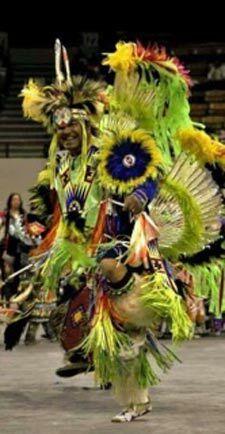 Those who follow competition dancing will be familiar with all three names; Brad Bearsheart dances in the “Men’s Fancy Dance”category, teenagers, Nathanial and Ella are well-known on the circuit as consistent winners in “Men’s Hoop Dance” and “Grass Dance” categories; and “Women’s Fancy Shawl” and "Women’s Hoop Dance”, respectively. Both Ella and Nathanial compete at the World Hoop Championships at the Heard Museum in Phoenix, Arizona. Joining them on stage will be Kimberly Kelley on keyboard, bodhran and vocals. This show has long been a favorite of fans all across North America!